“An investigation has been launched into Alaattin Çakıcı for his threatening remarks in a public statement against a group of journalists for ‘threatening with death by using the force an [armed] organization,’ ‘threatening someone to spread fear and anxiety in the public’ and ‘inciting someone to commit a crime’ as listed in Article 106/2-d of the Turkish Penal Code,” Ankara Chief Prosecutor’s Office said in a statement late June 29. Earlier on June 29, as one of most infamous figures of the crime world in Turkey, Çakıcı threatened six columnists and the owner of the daily Karar by issuing an open letter calling on “those who love” him to “punish” them. He accused them of supporting the “evil alliance,” referring to the “Nation’s Alliance” formed by four opposition parties against the ‘People’s Alliance’ of President Recep Tayyip Erdoğan’s ruling Justice and Development Party (AKP) and the Nationalist Movement Party (MHP). "The enemy of the [People's] alliance is my enemy, too," he said. Days after the June 24 presidential and parliamentary elections, daily Karar had published another statement by Çakıcı, noting that he threatened Erdoğan in an “insolent” way with his amnesty demands. While slamming the newspaper for the headline, Çakıcı mentioned the names of Mehmet Aydın, the owner of Karar, and journalists and columnists İbrahim Kiras, Hakan Albayrak, Etyen Mahçupyan, Akif Beki, Gürbüz Özaltınlı and Ali Bayramoğlu. “I always notify the people before I hurt them. They [the six journalists] will be punished in Turkey or abroad by those who love me. This is my call for them who previously told me that they can shoot anyone and even die for me. They should do their duty now,” Çakıcı said in his open letter. He is also convicted of several crimes including organizing and leading a crime syndicate for the purpose of generating profit, instigating murder, instigating injury, and insulting President Erdoğan. 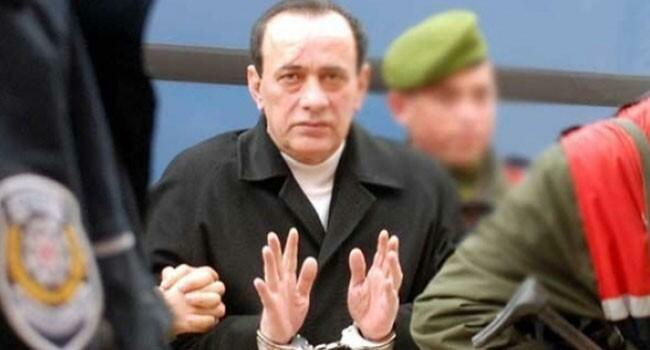 The mafia leader was transferred from the prison to a hospital in the Central Anatolian province of Kırıkkale on May 17. 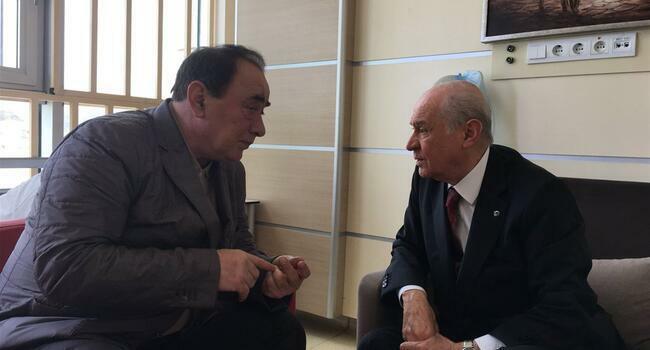 MHP leader Devlet Bahçeli paid a brief visit to Çakıcı at the hospital on May 23, before sharing photos on the party’s Twitter page in which the two were seen talking warmly. The MHP leader made the initial call on Twitter for a “general amnesty” on May 12, demanding an amnesty for convicts excluding child abusers, murderers of women, rapists, and members of the Fethullahist Terror Organization (FETÖ) and the outlawed Kurdistan Workers’ Party (PKK). “If men who are in love with their homeland and ideals, who are known to be the brave and fearless men of their mission, such as Alattin Çakıcı or Kürşat Yılmaz, were presented as presidential candidates by the signatures of 100,000 nationalists, would there be such a petition for their release?” Bahçeli said. Çakıcı was first arrested after the 1980 coup d’etat, tried in relation to cases involving the MHP and a number of nationalist organizations in connection to the murder of 41 people. 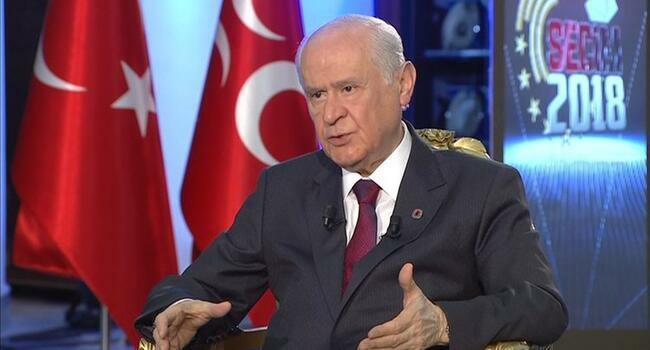 “How just and fair is it to leave these brothers of ours rotting behind walls?” Bahçeli said.